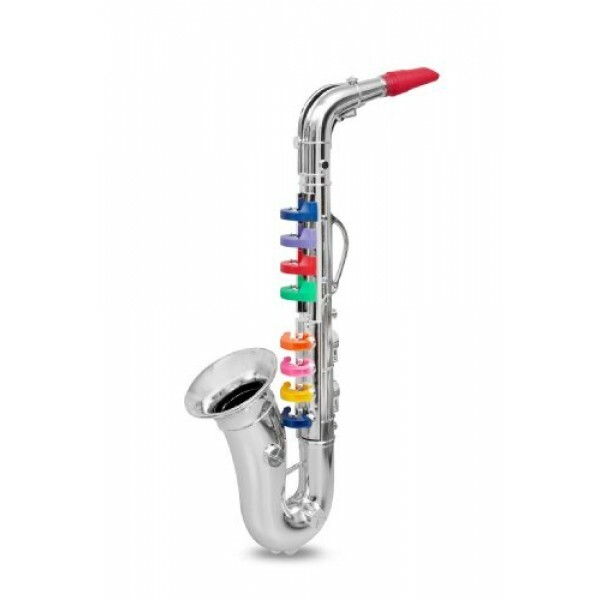 This toy Saxophone by Bontempi is perfect for the budding musician! It has four keys that can play four different notes; keys are color coded so children can play songs found on the back of the box (Jingle Bells, Oh Susanna, and Twinkle Twinkle Little Star). 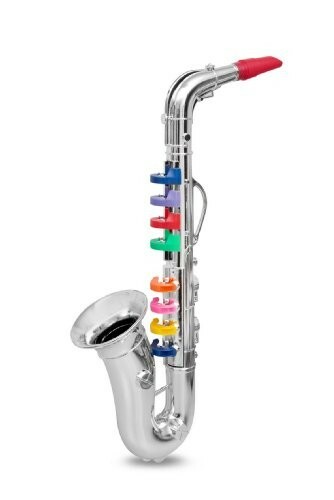 This saxophone is approximately 16 inches long, and is made plastic with a shiny silver finish.